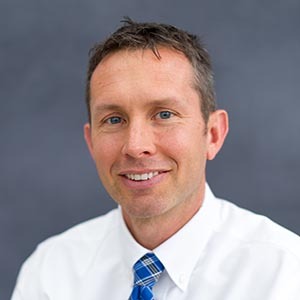 Jeff Cain, EdD, MS, is an Associate Professor for the Department of Pharmacy Practice & Science and the Director of Education Technology for the University of Kentucky College of Pharmacy. He teaches pharmacy management and an innovative thinking elective course and directs the school’s Teaching & Learning Program for pharmacy residents. As part of his Office of Education assignment he works with faculty and administration on a variety of matters pertaining to instructional design, innovation, faculty development, and instructional technologies. His primary research interests are social media in health sciences, teaching and learning, and contemporary higher education issues. He has worked in the fields of higher education and technology since 1999 and has numerous publications and presentations pertaining to social media, teaching and learning, and instructional technology. Dr. Cain completed the American Association of Colleges of Pharmacy (AACP) Academic Leadership Fellows Program in 2013. He won the 2012-13 Michael J Lach Award of Innovative Teaching and the AACP Distinguished Teaching Scholar Award in 2017. He currently serves as an associate editor of Currents in Pharmacy Teaching and Learning and editor of Pulses, a scholarly blog supported by CPTL. Rotellar Cristina, Cain Jeffrey John. (2016). Research, perspectives, and recommendations on implementing the flipped classroom. American Journal of Pharmaceutical Education, 80(2), Article 34. Cain Jeffrey John, Campbell T, Congdon H B, Hancock K, Kaun M, Lockman P, Evans R L. (2014). Pharmacy student debt and return on investment of a pharmacy education. American Journal of Pharmaceutical Education, 78(1), Article 5. Oyler Douglas R, Romanelli Frank, Piascik Peggy, Cain Jeffrey John. (2016). Student engagement: Practical insights for the pharmacist educator. American Journal of Pharmaceutical Education, 80(8), Article 143. Cain Jeffrey John, Noel Z, Smith Kelly M, Romanelli Frank. (2014). Four rights of the pharmacy educational consumer. American journal of pharmaceutical education, 78(6), 115. Policastri Anne, Cain Jeffrey John. (2011). An instructional strategy of using Facebook as an informal learning environment. American Journal of Pharmaceutical Education, 75(10), Article 207.